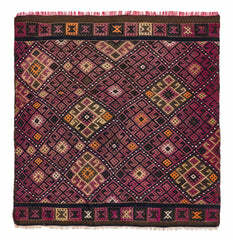 This is a vintage Turkish Kilim Rug handwoven in 1970s by villager ladies. 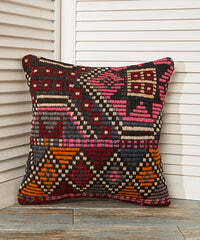 Colorful; Blue, red and green diamond large patterns represent Boho Chic life and ideal furniture for Bohemian Home decoration. 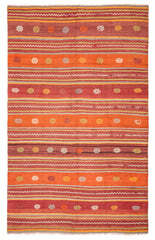 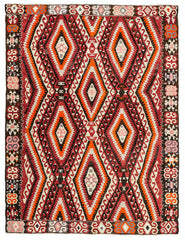 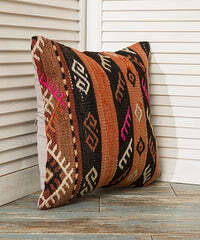 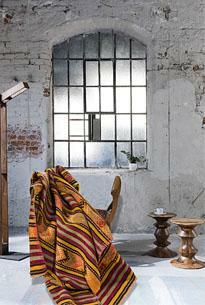 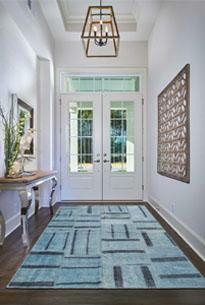 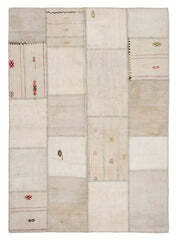 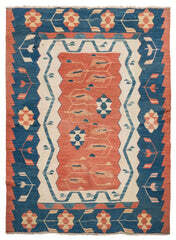 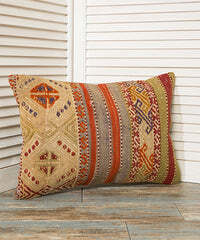 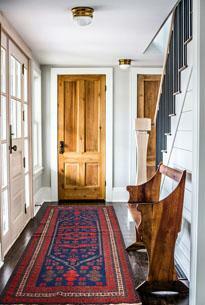 Tribal Area rugs are now trendy home decor items for modern bohemian houses or offices. 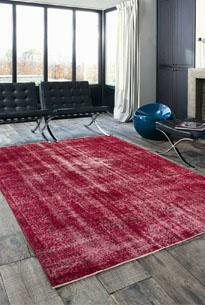 If you need further information about the rug or any item please let me know. 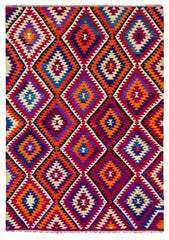 If you also need customization on this kilim rug,re-sizing or making pillows, table runners or splitting the rug into halves, just let me know.